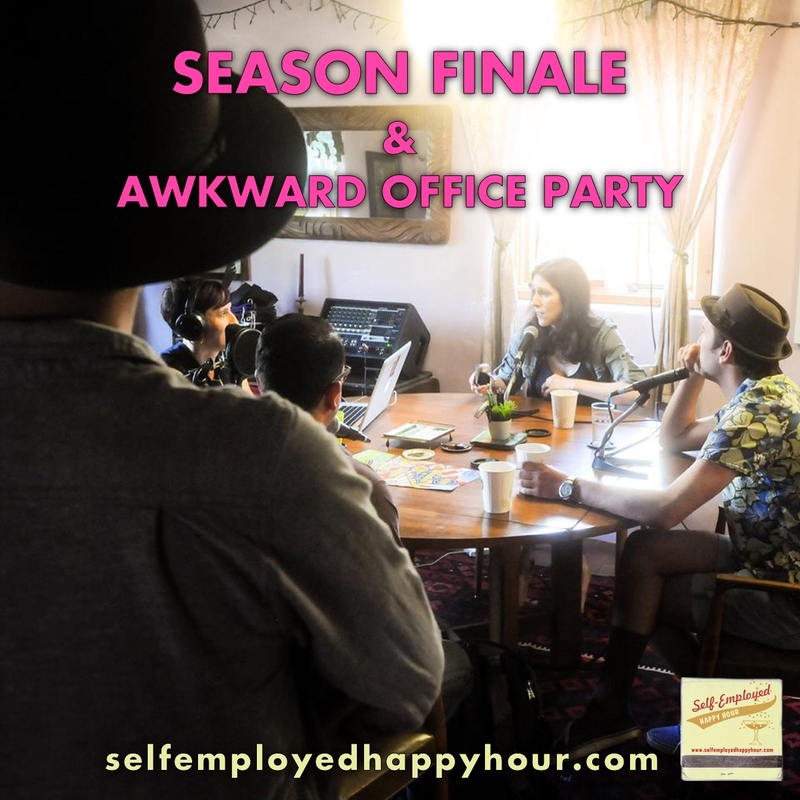 Just in time for summer vacay, we wrap our second season of Self-Employed Happy Hour by inviting all our guests from this season (plus a few more) and popping open the bubbly for a Season Finale & Awkward Office Party. We’re joined by Ashlee Renz-Hotz, Roxanne Blair, Jared Tarbell, Erin Phillips, Jesse Littlebird, Clarke Conde and Rusty Rutherford. We chat about the latest developments with Creative Mornings in Albuquerque and Santa Fe, the Albuquerque Game Developers Guild, Tricklock Company, the state of publishing in New Mexico and more! Thanks to Pyragraph Contributing Editors Jeremy Kinter and Josh Stuyvesant for co-hosting!